The news of so many not to have Christmas put sadness on his face. I need many for this”. Asking for Sheriff Mike Brown to help with this load. So Sheriff Brown sent them to plan it all out. The money raised by Gross came in and off to Wal-mart they went. I’ll head to the pink aisle for Melanie and Sue. Now comes the hard part, for deliveries to be made. Sheriff Santa Brown set out for a county-wide ride. Off to Stewartsville! Body Camp! Moneta and more! Imagine the shock on Mom’s face at the door! As they spread throughout the county with bags of toys on their backs. To see all these gifts under the tree they adorned. Looks like we may be doing this in the future for some while. 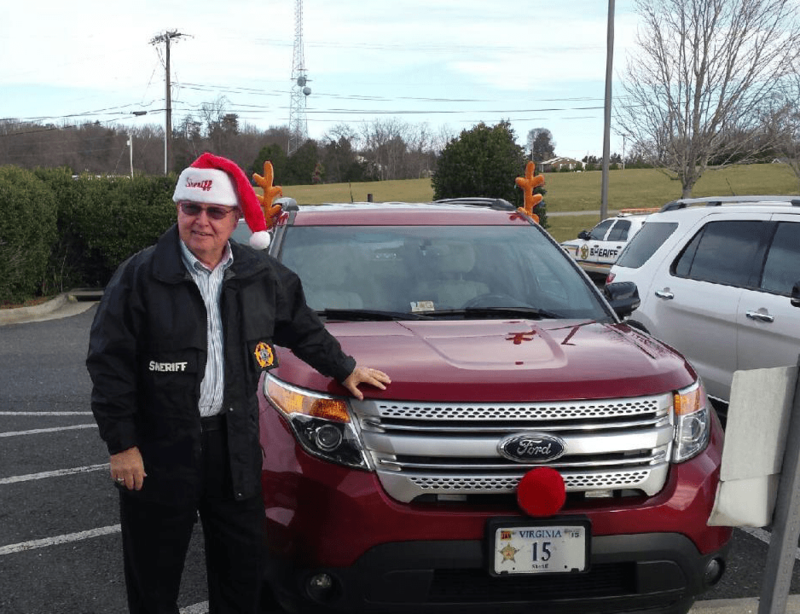 This Sheriff Santa wishes Merry Christmas to Bedford County and Bedford Town!